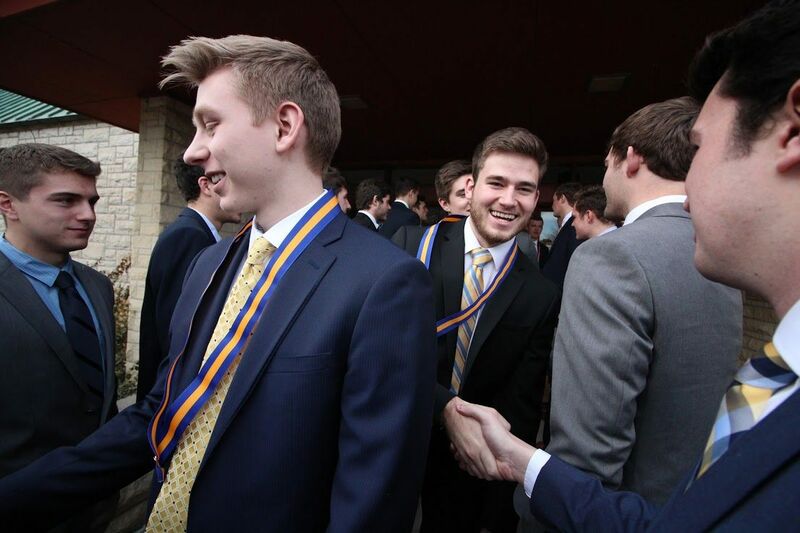 Delta Upsilon dares to be different. Join us on our mission to create meaningful, lasting experiences that will shape your life for the better. THANK YOU FOR YOUR INTEREST IN DELTA UPSILON INTERNATIONAL FRATERNITY! The college years are an important time in your life. Your experiences both in and outside of the classroom will have a profound impact in shaping who you are as a person and building the foundation for a successful future. With all of the opportunities afforded to you during your time in college, perhaps none is more valuable than a fraternity experience. Fraternity membership offers a host of learning and social opportunities not found anywhere else on a college campus. It is much more than friendships and social events. Did you know national Gallup research results show that fraternity/sorority members are more likely to thrive post-graduation in the five elements of well-being? With those elements being purpose, social, financial, physical and community. Fraternity/sorority members are also found to be more engaged in the workplace, are more likely to have a mentor, and are more likely to take advantage of experiential learning opportunities while in college. In short, fraternity members are more engaged on campus and better prepared for life after college. As the oldest and largest non-secret fraternity, in Delta Upsilon, what you see is what you get. We stand by our Four Founding Principles of Promotion of Friendship, Development of Character, Diffusion of Liberal Culture and the Advancement of Justice, and each remains a cornerstone in everything we do. We offer a unique, 21st Century college experience focused on preparing men for life in an ever-growing global society. Our educational programs like Leadership Institute, Regional Leadership Academy and Global Service Initiative help men identify their personal values and leadership skills, and how those values and skills work hand-in-hand. Our strategic plan is built around a members’ development, and Delta Upsilon has become a leader in the fraternal world in terms of educational and service initiatives. Delta Upsilon is a lifelong experience. There are 82,000 DU living alumni spread across the country, in thousands of career fields. This alumni network can provide numerous opportunities to become career-ready through internships and prospective jobs. This is in addition to the life skills and lessons you will learn during your undergraduate membership and continue to hone throughout alumni life. If you believe you are ready to be a part of our mission of Building Better Men, we invite you to fill out our member interest form.